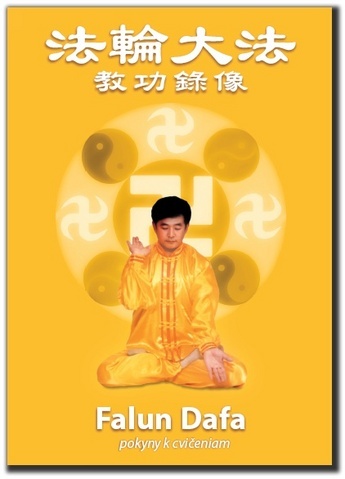 In May 2009, Slovak publishing house CAD Press published Falun Dafa Exercise DVD (ISBN 978-80-88969-41-9) with Slovak instructions to teach people the five sets of Falun Dafa exercises. The introductory book Falun Gong and main book Zhuan Falun have already been published in Slovakia, and now people in Slovakia have the chance to see a DVD to learn the Falun Gong exercises. The DVD contains description of all five sets of exercises, presented personally by Master Li Hongzhi. Through slow and detailed shots with descriptions, beginners can quickly learn the exercises. A videotape with Falun Gong exercises was first published in September 1994 by Beijing Television and Art Centre Publishing Company. After that it was published in many languages around the world, and transcribed onto DVD. The publication of the Slovak DVD was requested by the publishing house CAD Press, which approached Falun Dafa practitioners to request a qigong exercise DVD, as many of their customers ask for it. Hopefully now more people will be able to understand the real meaning of qigong and its profound principles.